Cause Correspondent Melissa Jun Rowley is a television and online journalist focused on digital storytelling for social change. With an emphasis on the convergence of capitalism and activism, Melissa is a warrior for anyone and everyone fighting the good fight. Over the years, Melssa has covered market movers from the New York Stock Exchange for CNN Business News, red carpet glamour from the Oscars for CNN Entertainment, and social good campaigns for CauseCast and Mashable. 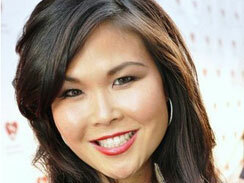 She has also produced and reported for Associated Press Television News, AMC, TV Guide Channel, E! Entertainment and TechTV. In addition to her journalistic initiatives, Melissa has done social media consulting for nonprofit tech startups and major brands, including Lexus and Macy's. You can read Melissa's personal blog Rowley's Word at http://melissajunrowley.com, where she writes and curates content about social entrepreneurship, music, entertainment, love and self-evolution. She currently blogs for the Nike Women Make Yourself Movement on a regular basis. Live jazz, rock and roll, sweaty workouts, the sea, and colorful food are the keys to her heart.